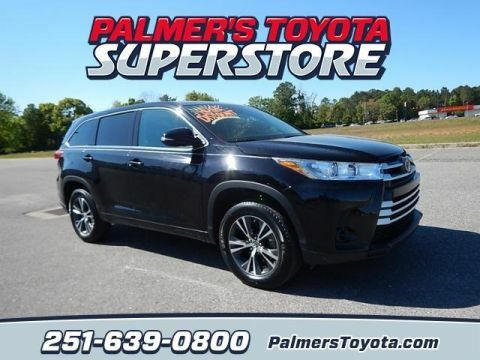 If you’re shopping for a car near Daphne and want to save money on a vehicle that’s reliable & still feels new, then consider a Certified Used Toyota vehicle from Palmer’s Toyota in Mobile, AL. 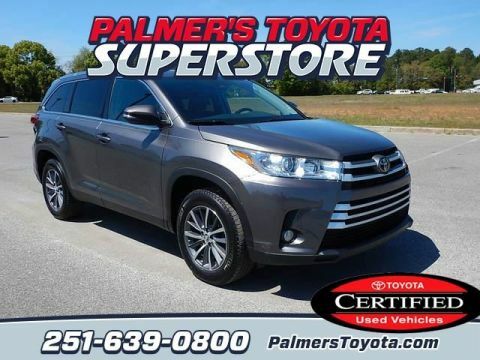 Far more than just used vehicles with a fresh new look, these models also come with a variety of additional benefits including a 7-year/100,000-mile Limited Powertrain Warranty! 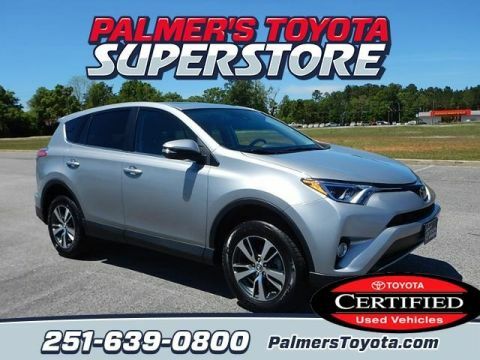 Explore some of the most exciting perks of this generous program, and then visit Palmer’s Toyota to finance a Certified Used Toyota today! Before one of our certified models makes it to the lot, it has to undergo a strict certification process. 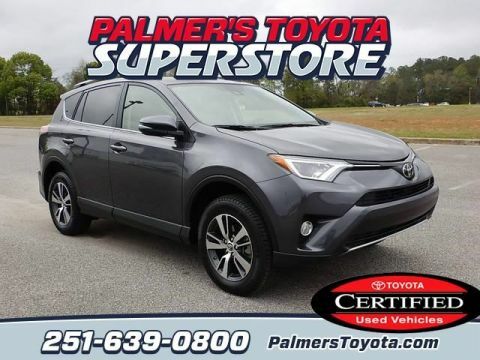 In order to gain the Toyota Certified seal of approval, the vehicle must be no more than six model years old and have been driven no more than 85,000 miles. Each model’s CARFAX® vehicle history report also undergoes careful scrutiny in order to ensure that only the best vehicles earn the TCUV distinction! 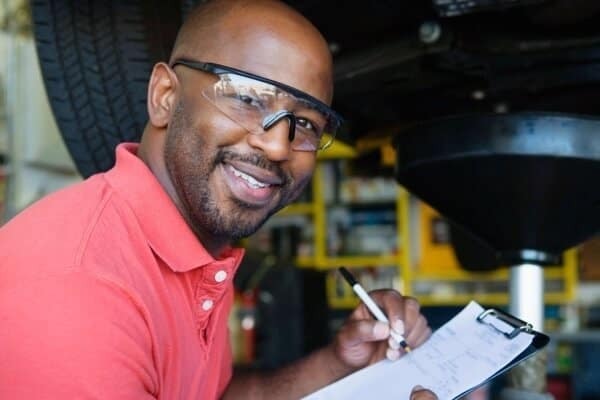 Every Toyota Certified Used Vehicle comes with a 12-month/12,000-mile Limited Comprehensive Warranty, which begins the day you buy your vehicle and covers all repairs and replacements that occur because of material defects or workmanship failures. 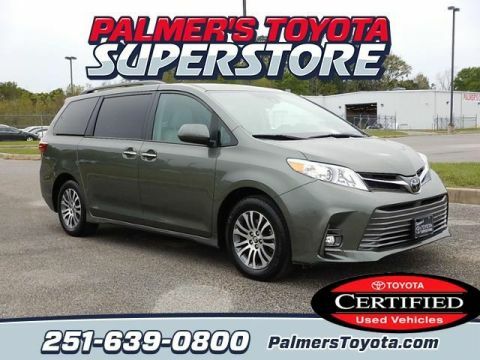 You’ll also get the remainder of the vehicle’s original 7-year/100,000-mile Limited Powertrain Warranty, and Toyota hybrids get the remainder of the 8-year/100,000-mile Factory Hybrid Vehicle Battery Warranty. Also part of the warranty coverage is a full year of 24-hour Roadside Assistance across the U.S. and Canada. This includes help with gas fill ups, dead batteries, flat tires, towing, and even getting locked out of your car. In addition to the standard Limited Comprehensive Warranty and Powertrain Limited Warranty, you can also opt for a variety of extended Toyota coverage options on your TCUV, including the Certified Platinum Service Agreement, Certified Gold Service Agreement, and Certified Limited Powertrain Warranty. 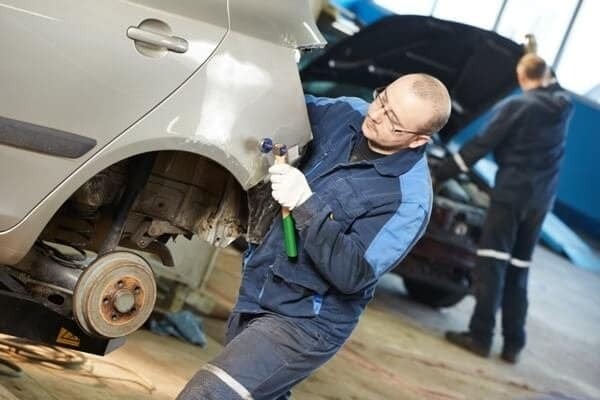 Every Toyota Certified Used Vehicle has undergone a thorough inspection by a factory-trained and certified technician, and if any parts are found to be faulty, they are either fully refurbished or replaced with a suitable Toyota OEM part. 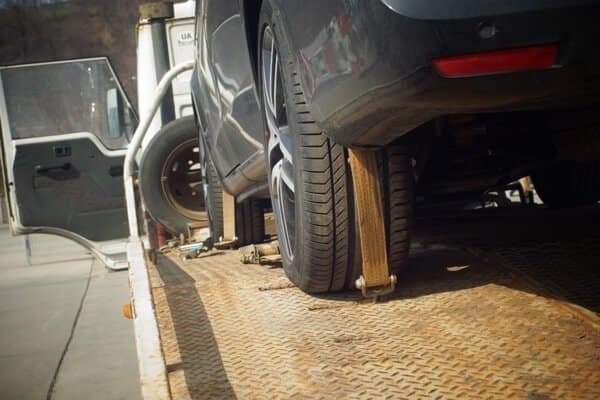 Most vehicles get a 160-point inspection, while hybrid models get a 174-point inspection, including all major systems, from electrical and powertrain to the brake system and suspension. The history of a used vehicle says a lot about what kind of condition it’s in. With a Toyota Certified Used Vehicle, you won’t have to do any guesswork. Each of these models comes with a full CARFAX® vehicle history report, so you’ll know exactly what you’re getting when you make your purchase. 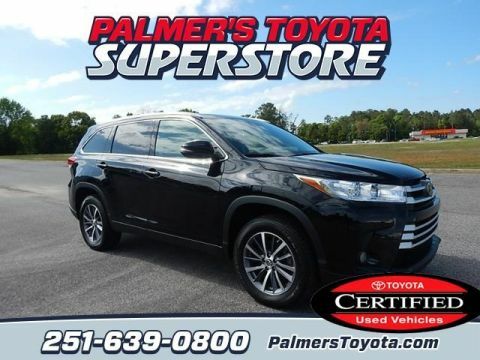 There are a lot of reasons to count on Palmer’s Toyota for your next vehicle purchase. 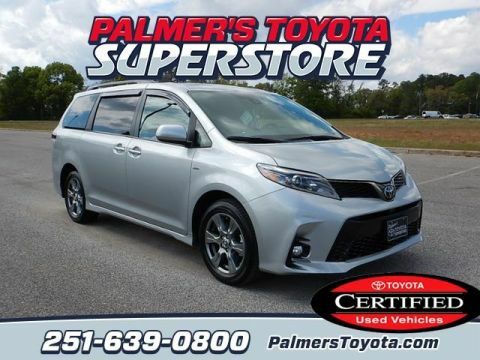 For starters, only authorized Toyota dealers are able to sell Certified Used Toyota Vehicles. 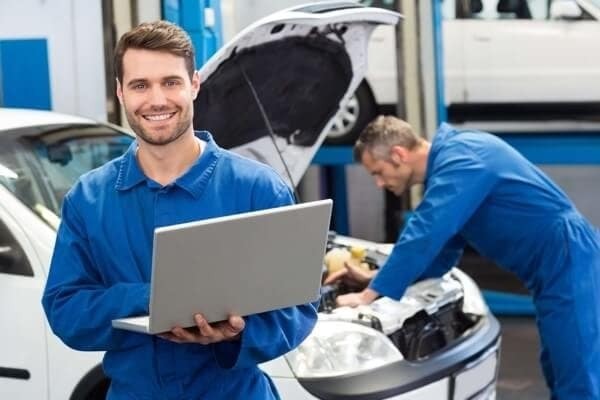 At our dealership, each Certified Used Toyota has undergone a rigid inspection by one of our certified technicians to ensure that it’s in peak working order when it gets to you. Additionally, we’ve been a trusted institution in Mobile, AL for over 20 years now, bringing drivers from Daphne to Pascagoula high-quality vehicles and services with consistency and pride. We also have an expert finance department that’s able to help set you up with competitive financing with no hassle at all. 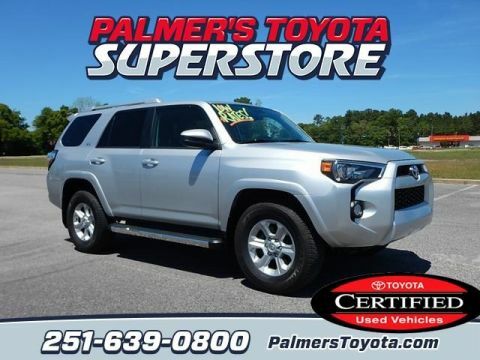 Take Home a Certified Used Toyota Today! 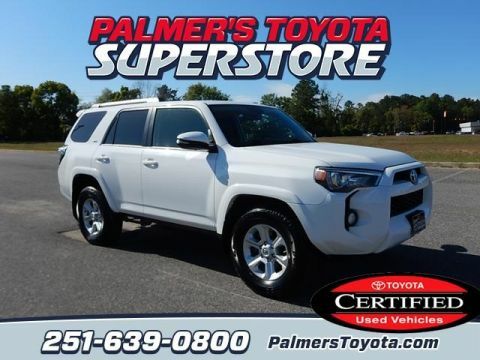 At Palmer’s Toyota, you’ll always find an impressive lineup of Certified Used Toyotas in stock. Our dealership is located at 470 Schillinger Road South in Mobile, AL, and we’re open for sales every day of the week (although we’re closed the first two Sundays of the month, so please call to confirm). 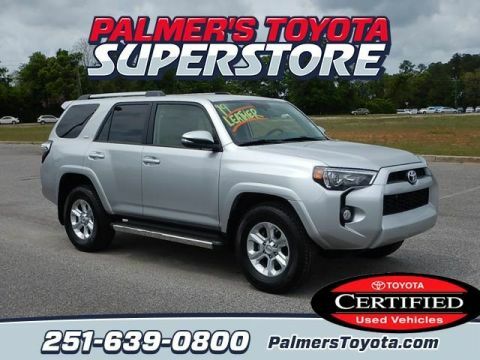 When you’re ready for a test drive or want to find out more, contact us online or give our sales team a call at (251) 639-0800. We look forward to earning both your business and trust and hope to see you soon!